Attention Football Players and Cheerleaders! The Joe Cronin Fishing Tournament benefiting the Jimmy Fund is also looking for volunteers for their BIG EVENT! If you need volunteer hours for college or just want to help the world go round by volunteering your time HERE IS YOUR CHANCE!!! 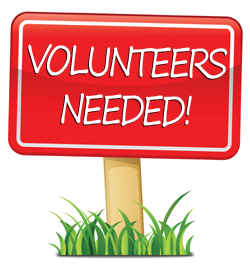 Volunteers are needed Thursday, August 4th; Friday, August 5th; and Saturday, August 6th! ALL AT NAUTICUS MARINA in Osterville Village!! Volunteer letters are given upon request. Please email Mrs. Hardy your name, contact information, and days you are interested in volunteering at Redraiderinfo@aol.com. She will pass along your contact information to Volunteer Coordinator, Senior football player Rory Dwyer, who will follow-up with you directly. If interested, email right away. Volunteer opportunities are limited. The tournament also offers participants a full day of children’s activities, dinner, entertainment, awards, and live and silent auctions. In 2015, participants raised more than $250,ooo, bringing the event’s cumulative fundraising total to more than $5 million.